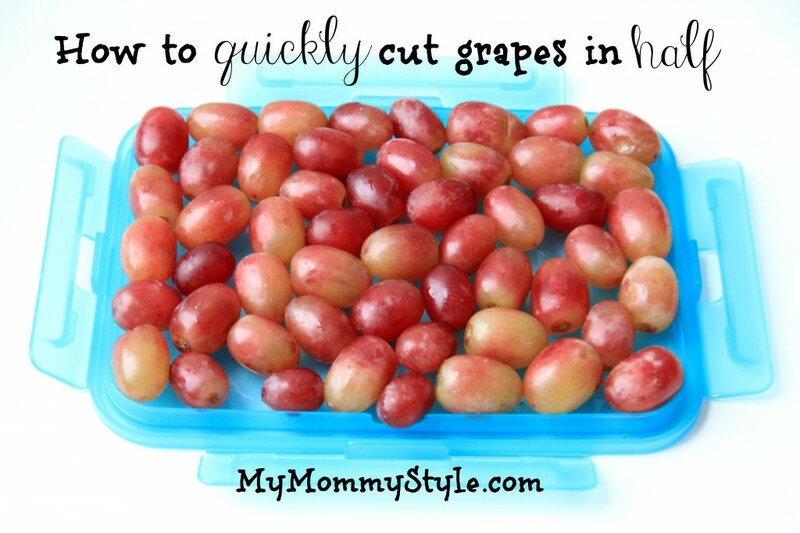 First wash your grapes and put them on a tuperware lid. Make sure they are all facing the direction you want them sliced. Place a second tuperware lid of the same size over the top and slice your knife between the two lids. That’s it! 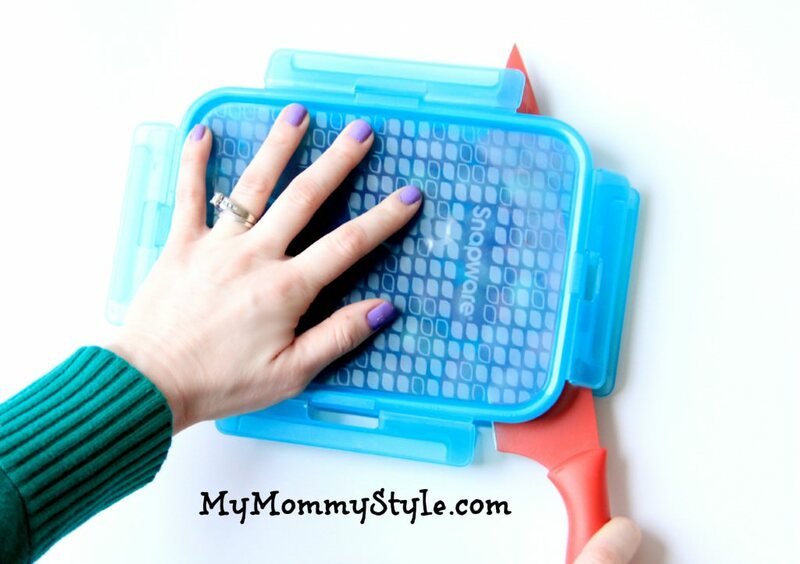 This also works with two plates, as long as the plates have ridges on the bottom.